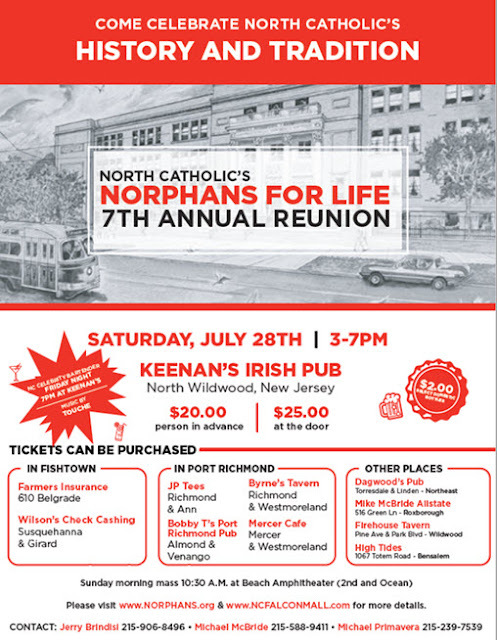 For the 7th year in a row and hosted once again by Keenan's Irish Pub in North Wildwood, NJ, the Norphan Reunion will be held on Saturday, July 28, 2018, from 3:00pm until 7:00pm. Last year we had over 1,700 fellow Norphans, friends and family celebrating the largest reunion in Wildwood. 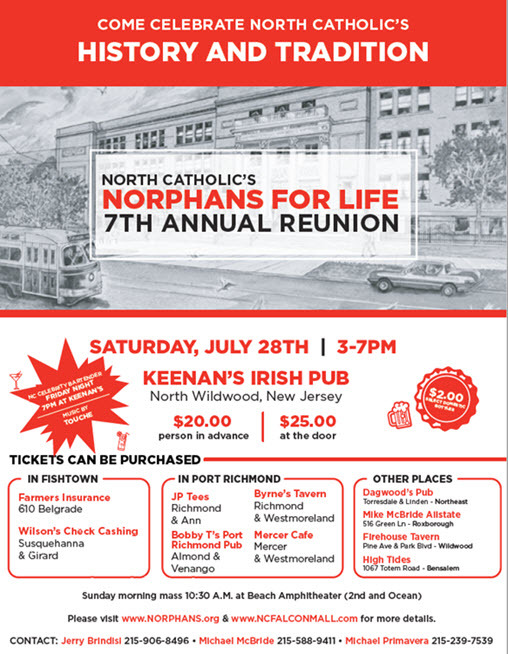 We look forward to seeing all of you at YOUR reunion.